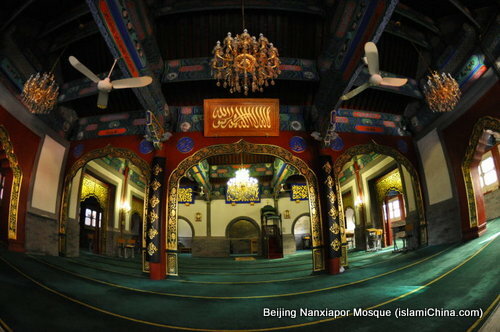 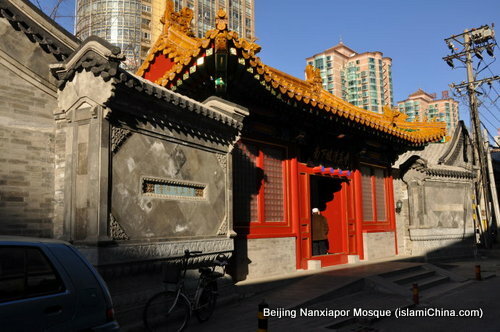 Nanxiapo Mosque is located outside Chaoyangmen Gate closed to Yabao Road market with a history of over 300 years. 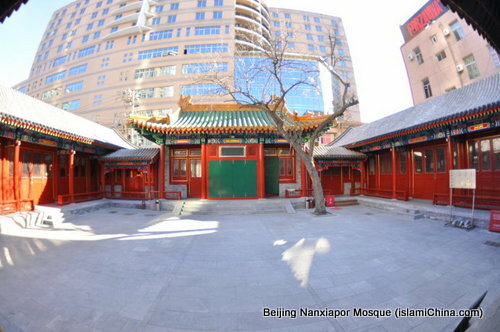 Nanxiapo Mosque is the only mosque survived in this area (other six mosques around Chaoyangmen area were all destroyed). 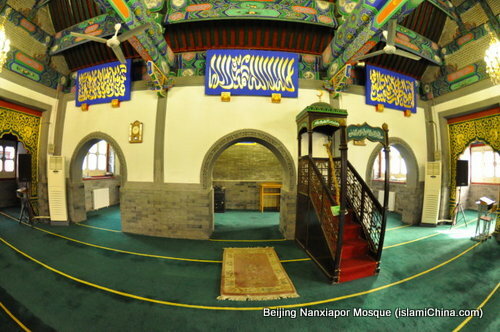 The layout of Nanxiapo Mosque is east-west arrangement with the prayer hall located in the center. 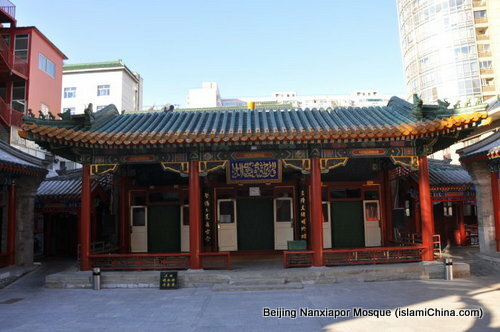 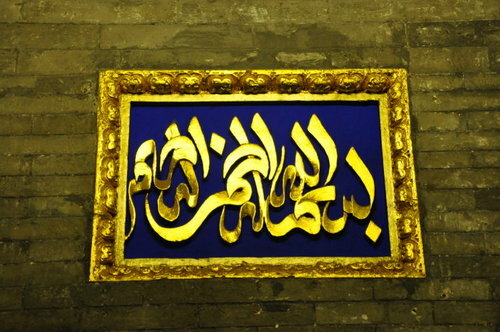 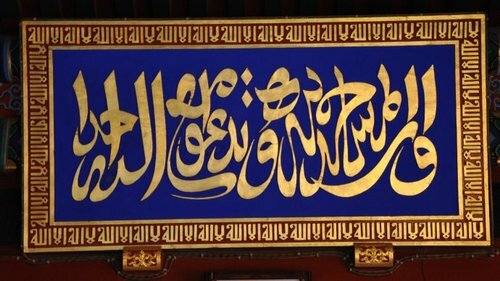 Covering 132 square meters, the prayer hall is typical of traditional Chinese architecture from outside but Arabic inside.